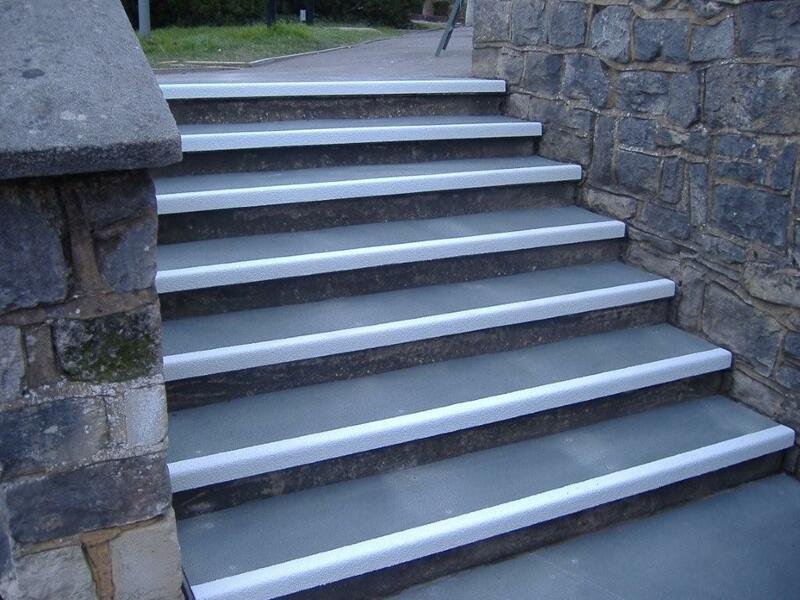 Historic University was in need of an upgrade to steps used by hundreds of students, so with a high footfall meant a higher risk of slip accidents. Slips, Trips and Fall accidents are the kind of accidents no one really wants to talk about. 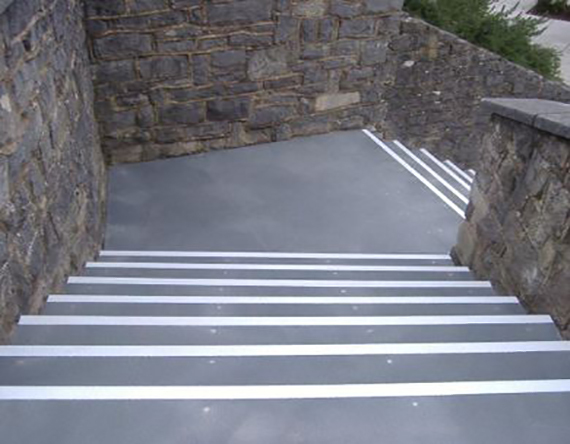 Victims often feel like people blame them for not paying attention, but it is the responsibility of the universities to ensure that proper slip prevention measures are in place, and very often they are not. 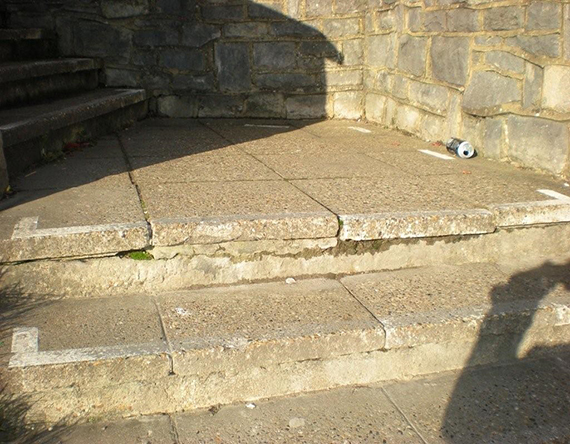 Have you got Slippery Stair Issues? 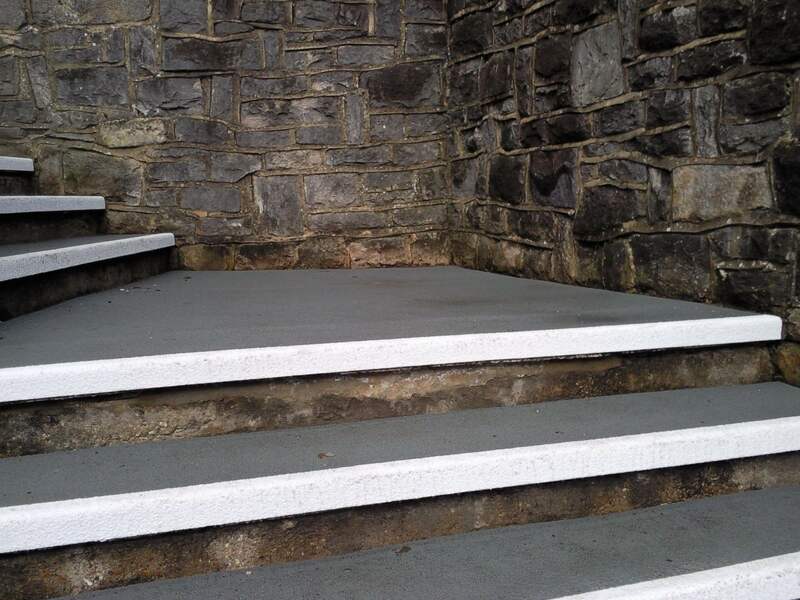 Their paving slabs were extremely slippery when wet and just painting a white line wasn't enough to prevent potential slip accidents, especially with high numbers of student foot traffic. The worn out painted highlighted edge which is supposed to define where the step edge is now serving no purpose as it has faded. 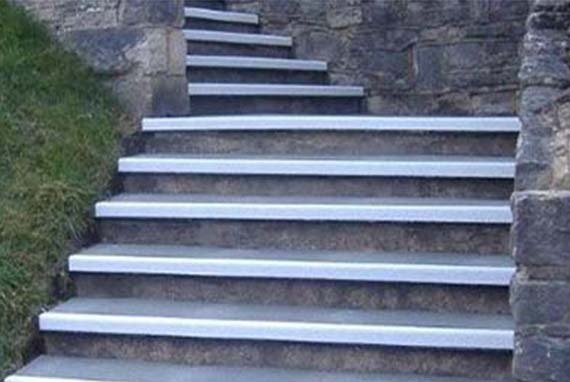 It is also not going to stop people from slipping. 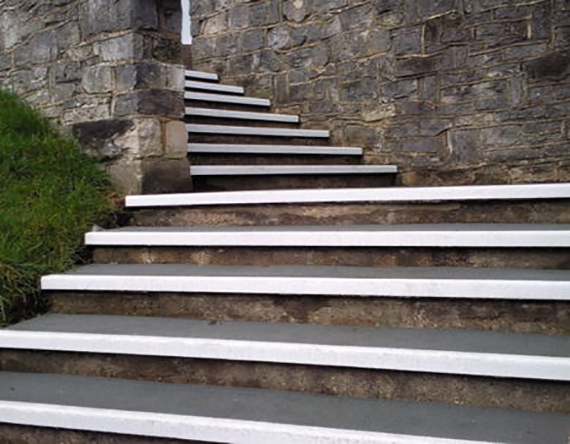 The university wanted a long term solution to fix the problem of potential slip accidents and to minimise, if not eradicate the risk as much as possible.